The Broward County Aviation Department (BCAD) awarded the Hensel Phelps | Baron Sign Manufacturing | Ion Electric | Bid Dog Construction Services Design-Build Team the Fort Lauderdale-Hollywood International Airport (FLL) Welcome Sign and Broward County Logo Sign. The project scope consists of two illuminated signs that will be replacing the existing signage located on the east side of Cypress Garage. 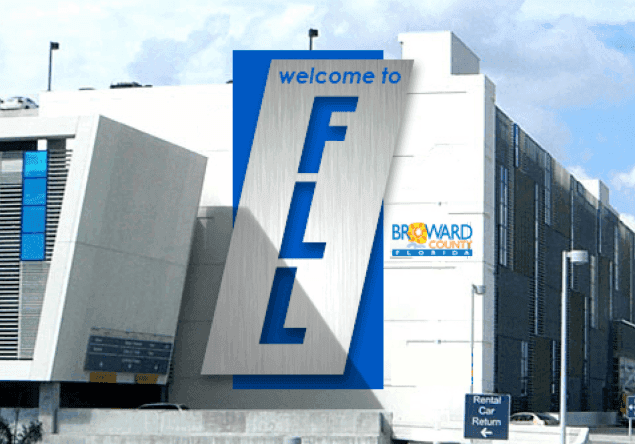 The FLL Welcome Sign expands to the size of 40 feet wide and 70 feet tall, while the other sign for the Broward County Logo is approximately 15 feet wide and six feet tall. Both signs will be LED illuminated. Design and construction efforts will begin immediately to ensure a prompt completion for Spring of 2019. The Hensel Phelps | Baron Sign Manufacturing | Ion Electric | Bid Dog Construction Services Team are thrilled to be modernizing the welcome sign of Broward County and the Fort Lauderdale-Hollywood International Airport for all travelers and visitors.